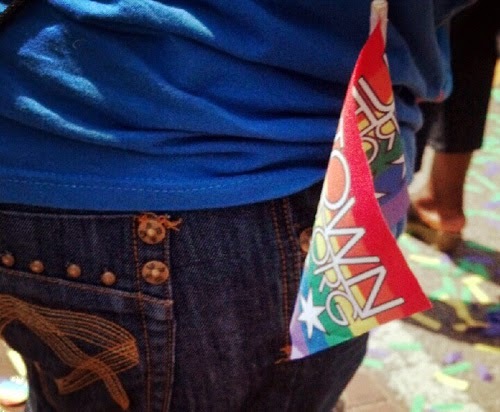 For the fourth consecutive year, Uptown is hosting the first leg of the Pride Parade on Sunday. It comes with crowds and some logistical planning, but we're getting to be pros at this. The forecast calls for ideal weather conditions (low 70s, some sun, no rain) and there's much good news to celebrate, so prepare for a good time. 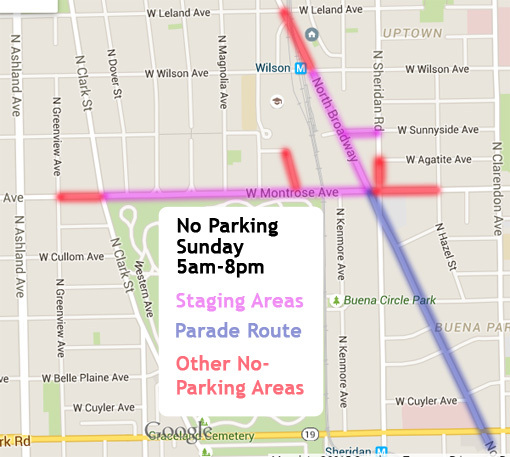 The parade kicks off at noon at Broadway and Montrose, and heads south on Broadway. The staging area for the floats and participants will be along Broadway from Montrose to Wilson, and along Montrose from Broadway to Clark. It will take approximately two and a half hours for all the parade entries to pass the starting point. As veteran parade watchers know, Streets and San sweepers show up immediately afterward to clean the streets. Be sure to look for the Stanley Cup! It will be on the WGN Radio float. There are 200 entries in the parade (see complete lineup here), and the Cup will be on #17. There are a lot of parking restrictions, and they begin at 5AM and last until 8PM. Ald. Tunney warns that ticketing and towing will begin promptly at 5AM. If you're not going to be using your car, we suggest moving it NOW while you can. We've supplied a map showing the Uptown streets on which parking is not allowed on Sunday. 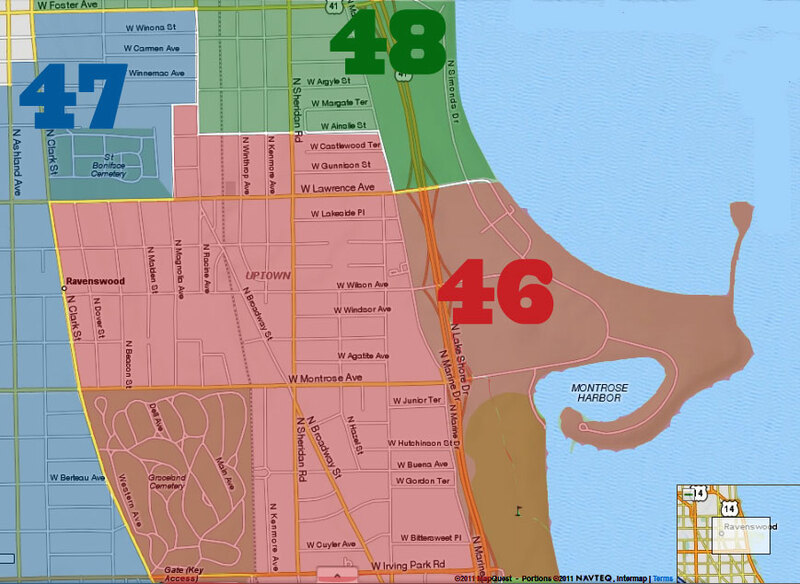 There are many more street restrictions in Lakeview; see the entire list here. CTA Service will be affected! The Red Line trains will run approximately every five minutes between 9am and 7:30pm. Between 8am and 6:30pm, there will be reroutes of these bus lines: 8 Halsted; 22 Clark; 36 Broadway; 76 Diversey; 77 Belmont; 78 Montrose; 80 Irving Park; 151 Sheridan; 152 Addison. The CTA has an entire page devoted to getting around during the parade; check it out here. 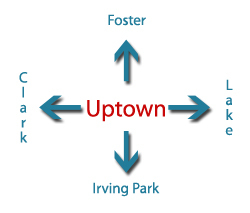 Be Uptown Proud! Visit www.uptownproud.org and look for flags that will be given out along the parade route. Montrose Rocks has been renamed Pride at Montrose and will take place between 11am and 8pm in a fenced-in area at Cricket Hill. More details are here. Don't drink on the public way. According to just about everyone, the wink-wink-I-don't-see-anything attitude of years past isn't happening this year. There will be ticketing and fines of up to $1000. The parade committee has hired 80-100 off-duty cops to mingle in the crowd and make sure things stay within the law. Ald. Cappleman's newsletter with info about the parade is here. Have fun, be proud, stay safe! Given the weather forecast, sunny and "just right" like the third bowl of porridge in "Goldilocks and the Three Bears", and yesterday's gay marriage announcement from the Supreme Court I would expect tomorrow to be larger and crazier than normal. 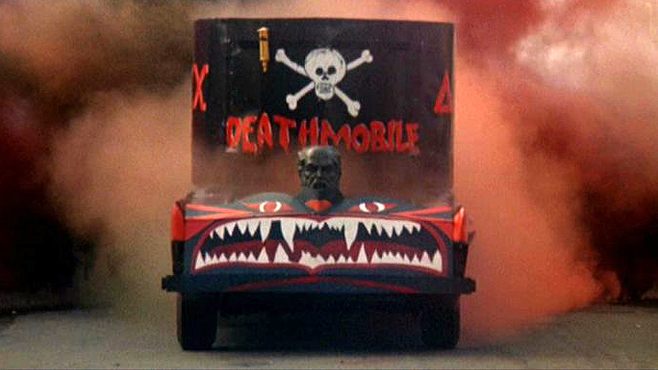 I heard Scalia will be driving a newly added float. I expect 100's of gay bears and lesbian Goldilocks and their family, friends and supporters to descend upon Uptown and Lakeview. Enjoy yourselves and be prepared. Not a great day to be running errands on the north side of Chicago so you've been warned. No whining allowed.